Torquay is the principle town of the area in the south west of England known as The English Riviera. With its mild climate and amazing array of year round attractions it is a place to visit at all times of the year. 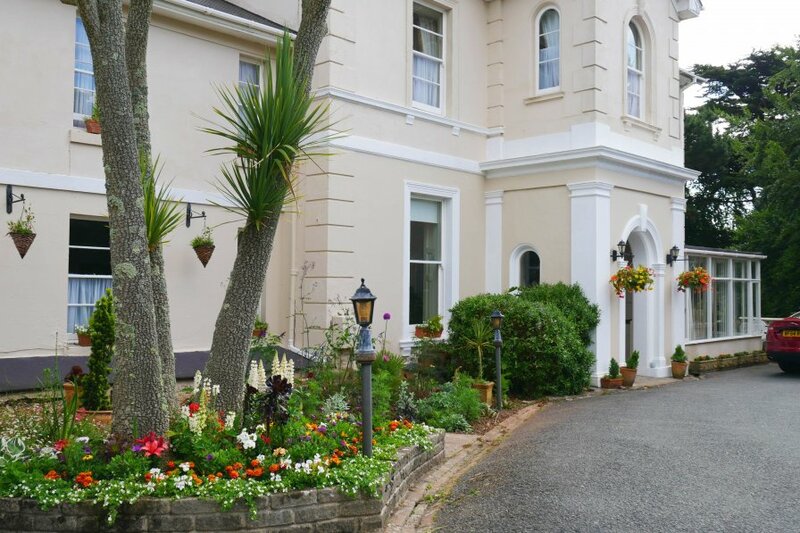 The Muntham Apartments are situated in the Wellswood area of Torquay which is a sought after, leafy, residential area just five minutes from Torquay town centre and harbour. At its heart is an area known locally as "Wellswood Village" where a post office, pub, restaurants, patisserie, delicatessen and much more else besides can all be found. This area is just a five minute walk from the apartments. The Muntham Apartments themselves are surrounded by nearly an acre of gardens and therefore offer a very tranquil break to visitors. The property was originally a house built for a Victorian Torquay Member of Parliament but more recently has successfully been transformed into holiday accommodation. Apartment 7 is on the first floor of the building and is a very spacious studio. There is a king sized bed and defined dining area plus a sitting area with comfortable sofa. The apartment has a bathroom with shower plus a kitchen with full sized oven, electric hob, dishwasher and microwave.